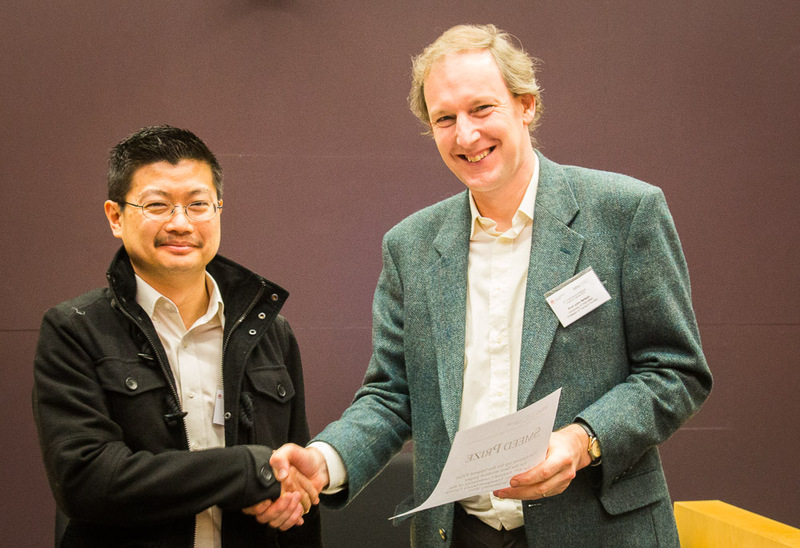 Congratulations to Michael Nattrass of UCL who won the Smeed Prize at the 50th Universities’ Transport Study Group Conference, hosted by UCL in London between 3-5 January 2018. Two joint second prize winners this year were Shuo Li of Newcastle University and Hannah Budnitz of the University of Birmingham. Michael Nattrass’ paper was entitled: Infrastructuring when Cycling: How those Cycling, Walking and Driving come to justify the everyday use of the Public Highway. Shuo Li’s paper was entitled: Investigating the effects of age and driving disengagement level on drivers’ take-over control performance in Highly Automated Vehicles. Hannah Budnitz’ paper was entitled: Exploring the Influence of Weather on the Choice Not to Travel. 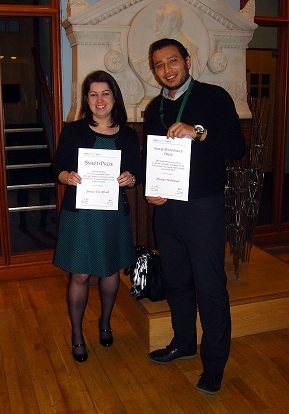 Eight students competed for the prize this year and the judges commended the high standard of entries received. 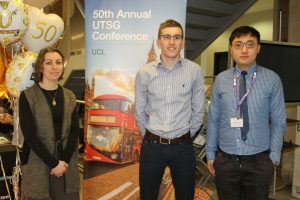 Congratulations to Maria Imprialou of Loughborough University who won the Smeed Prize at the 47th Universities’ Transport Study Group Conference, held at City University London from 5-7 January 2015, and to Yok Hoe Yap from University of Southampton, who was awarded second prize. 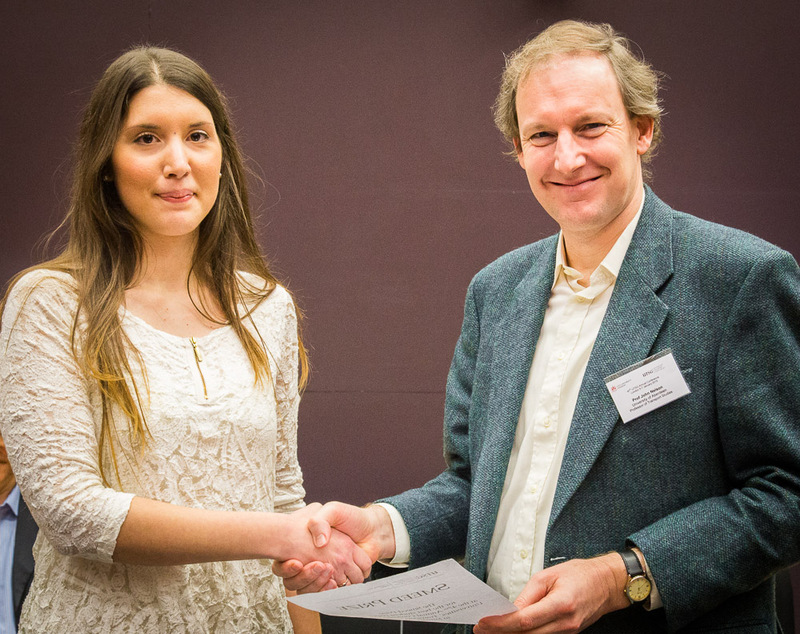 Maria’s paper was entitled ‘A new modelling approach to develop accident-speed relationships using multivariate Poisson log-normal regression models’. Yok’s paper was entitled ‘The impact of exiting flows on roundabout lane entry capacity’. 12 papers competed for the prizes and the judges commended the high standard of the entries received. 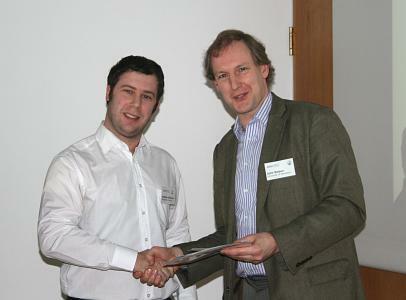 Congratulations to James O’Brien of Newcastle University who won the Smeed Prize at the 46th Universities’ Transport Study Group Conference, held at Newcastle University from 6-8 January 2014, and to Jacek Pawlak from Imperial College London, who was awarded second prize. James’s paper was titled ‘Environmental justice and air quality strategies in Durham’, while Jacek presented a paper titled ‘On the move: exploring the implications and possibilities of modelling in-travel activity choice and productivity in the era of nomadism and multi-tasking’. 13 papers competed for the prizes and the judges commended the high standard of the entries received. 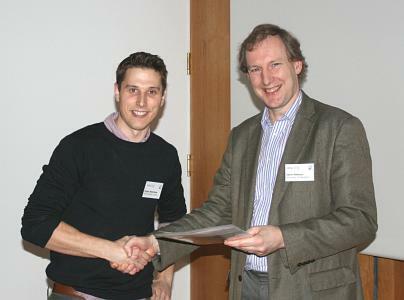 Congratulations to Roger Beecham of City University who won the Smeed Prize at the 45th Universities Transport Studies Group Conference, held at the University of Oxford from 2-4 January 2013, and to Andrew Robinson from Newcastle University, who was awarded second prize. Roger’s paper was titled ‘Exploring (gendered) cycling behaviours within a large, attribute-rich, transactional dataset’, while Andrew presented a paper titled ‘Will the lights go out? An analysis of electric vehicle drivers recharging profiles in North East England’. 14 paper competed for the prize, and the judges commended the high standard of the entries received. 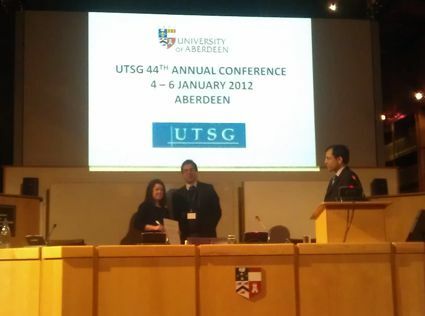 Congratulations to Jessica Van Ristell, from Loughborough University, who won the Smeed Prize at the 44th University Transport Studies Group Conference, held at the University of Aberdeen from 4-6 January 2012, and to Moataz Mahmoud, from the University of Ulster, who was awarded the 2nd prize. Jessica’s paper was titled ‘Modelling the Effects of Changing Local Authority Funding Criteria for Home to School Public Transport Provision’, while Moataz presented a paper titled ‘Using AHP to measure the gap between user-defined perceived and desired quality of bus service: A case study of Belfast City’. 13 papers competed for the prize, and the judges commended the high standard of the entries received.